SHORT HILLS, N.J., Nov. 16, 2017 /PRNewswire/ -- Political uncertainty and natural disasters from across the world failed to weaken global supply chain risk in Q3, according to the Chartered Institute of Procurement & Supply (CIPS) Risk Index powered by Dun & Bradstreet. 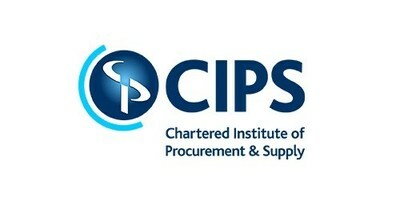 The CIPS Risk Index fell for the third consecutive quarter to 80.3, down from 81.3 in Q2, despite global political uncertainty and the ongoing renegotiation of long-standing trade deals, such as the North American Free Trade Agreement (NAFTA) and the UK's membership of the European Single Market. Despite recent falls, the Q3 score is only slightly below the Index's all-time high of 82.6 in Q4 2016. The Index, produced by Dun & Bradstreet for the CIPS, tracks the impact of economic and political developments on the stability of global supply chains. Although the damage caused by Hurricane Harvey in the US had a localised impact on supply chains, the weather event did not have a discernible impact on the global supply risk index, with North America's contribution to global risk decreasing from 7.0% in Q2 to 6.8% in Q3. The largest drop in risk was in Western & Central Europe, where a series of stabilising political outcomes helped to reduce the region's contribution to global risk from 24.7% in Q2 to 23.9% in Q3. The formation of a government in Macedonia following months of political deadlock and the abandonment of street protests by the opposition Democratic Party in Albania helped to stabilise the region and reduce risk. On top of this, the EU Free Trade Agreement (FTA) with Canada came into force in September, eliminating many taxes and duties on goods traded between the EU and Canada. The EU also appeared to make progress in talks with Japan and Indonesia about FTAs in the future. However, political risk around the world continues to threaten to spill over into the economy and impact supply chain risk. This is particularly significant in the US, where the lack of clarity from the US Administration around trade deals could impact Asia, with the US threatening to pull out of a major trade deal with South Korea. The renegotiations of the NAFTA trade deal with the US, Mexico and Canada will also further impact the supply stability of the region in the coming months. "Although supply chain risk has fallen for three consecutive quarters, it remains close to its all-time high and businesses must prepare accordingly. In a period of prolonged supply chain risk, it's crucial that businesses have a network of alternative suppliers when disruption inevitably hits. "The outcomes of various ongoing negotiations, such as Brexit and NAFTA, could change the face of global trade and cause significant disruption to supply chains in the future. This could cause delays, increase costs or reduce the quality of supplies businesses have access to, so it is now more important than ever for businesses to have robust contingency plans in place." "The Global Supply Risk Index score improved for the third straight quarter, falling from 81.3 in Q2 2017 to 80.3 in Q3. While the sustained improvement in the GRI is a positive for global supply chains, the index remains in high-risk territory. The Q3 reading is only slightly below the all-time high of 82.6 in Q4 2016. To put this in perspective, the average GRI score over the last four quarters (Q3 2016 to Q3 2017) was 81.5, while the average for the ten years 2006-15, which included the Great Recession, was 62.3. "Political risk is the common theme in supply chain risks across most of the world in Q3, and will remain so in the near term. Increased political risk brings with it impediments to the implementation of the right growth-friendly policies. While it is true that global growth is on a much firmer footing globally than it was a year ago, government policy will be ever more important, particularly as central banks across the advanced economies begin/continue their slow but steady withdrawal of monetary stimulus." First launched in April 2014, the CIPS Risk Index, powered by Dun & Bradstreet, is a composite indicator of pressures acting upon supply chains globally. The Index analyses the socio-economic, physical trade and business continuity factors contributing to supply chain risk across the world, weighting each score according to that country's contribution to global exports.